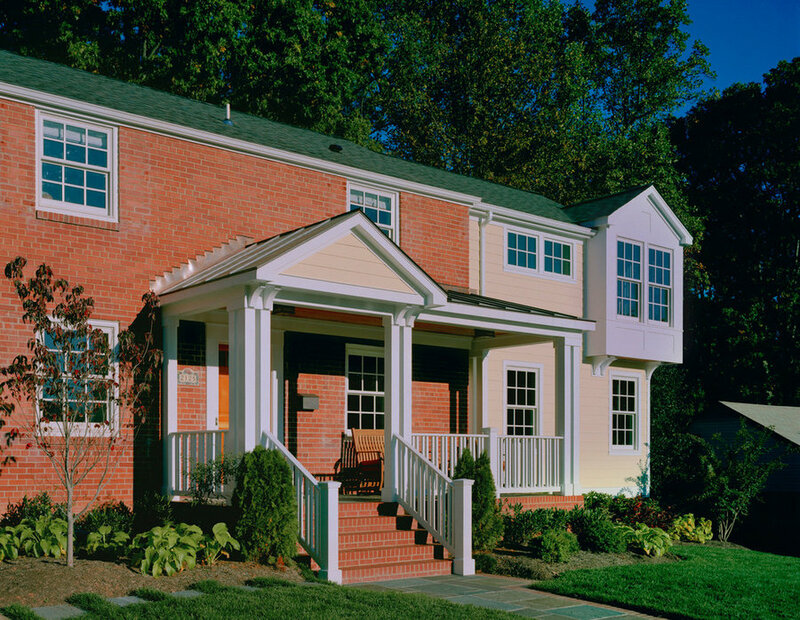 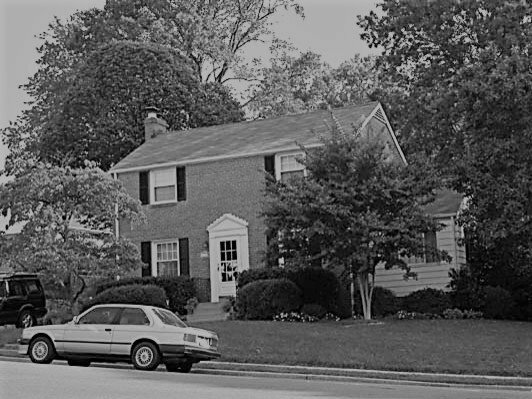 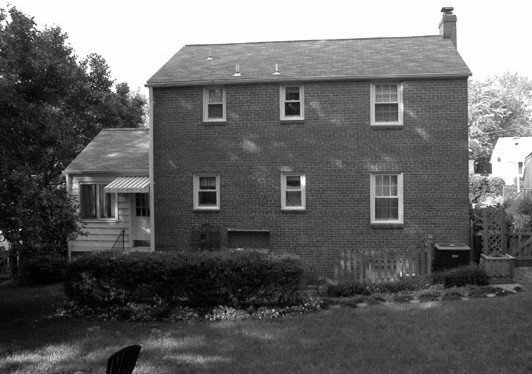 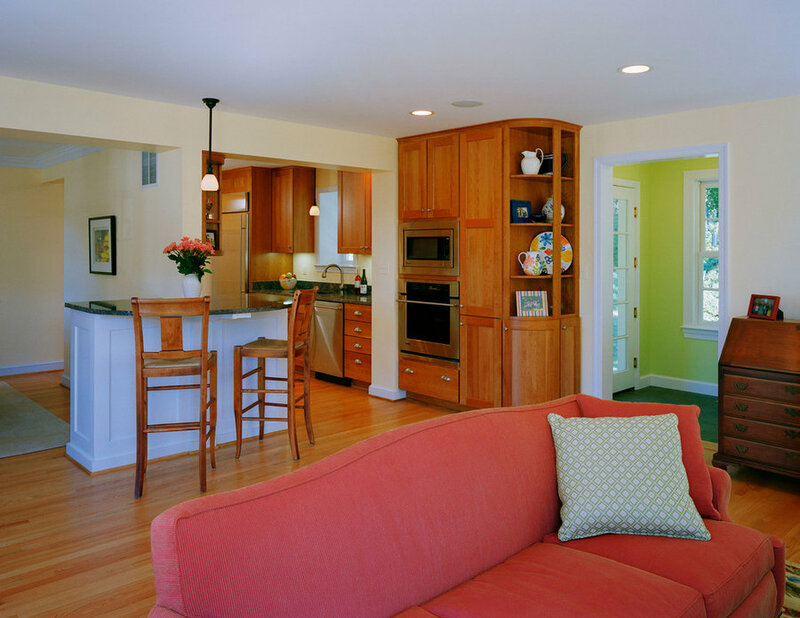 These traditional-leaning, open-minded clients needed their small center hall colonial to grow to suit their needs. 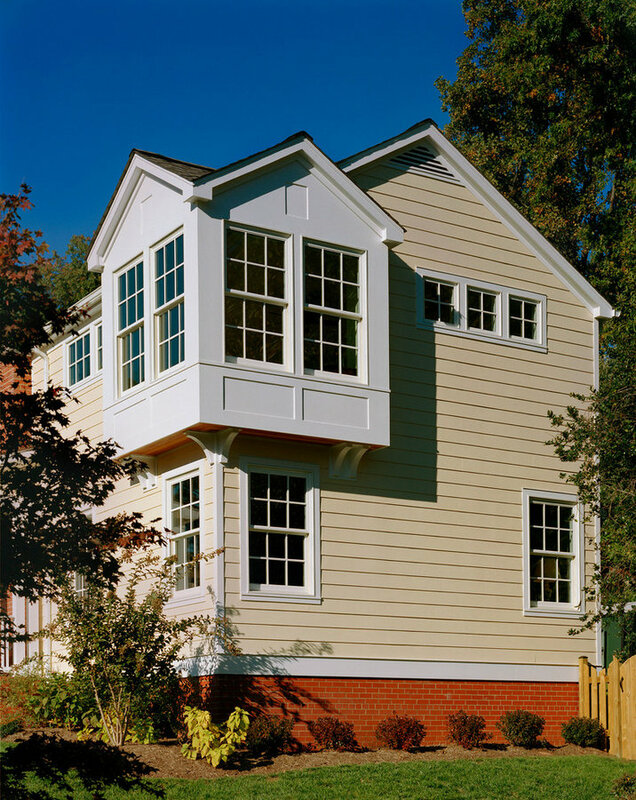 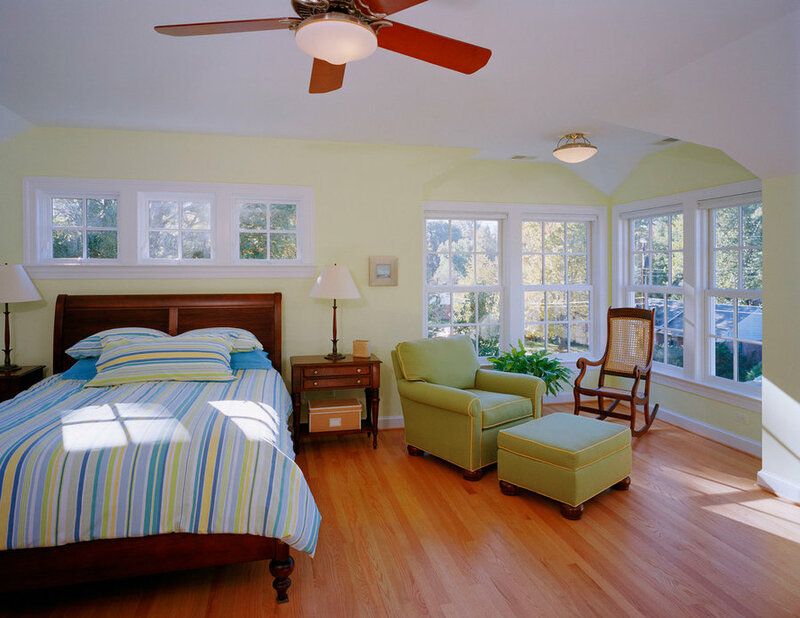 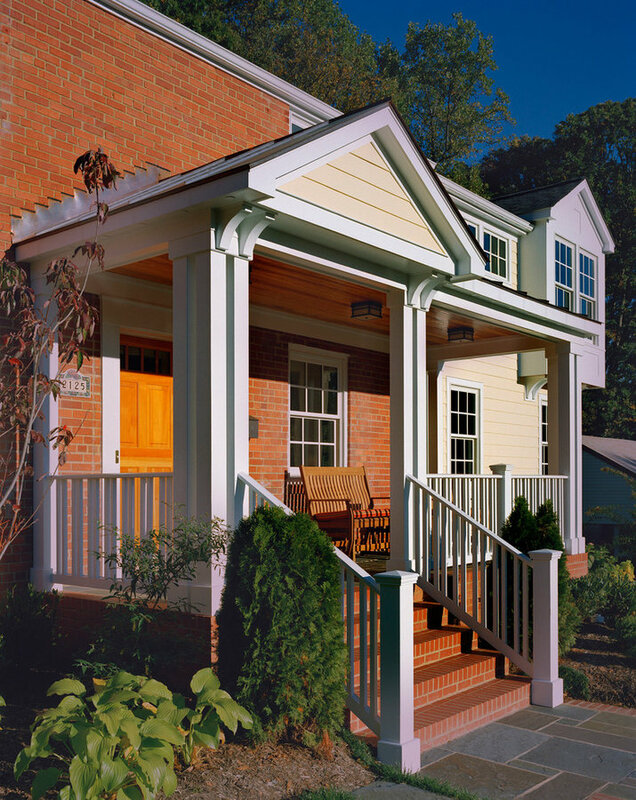 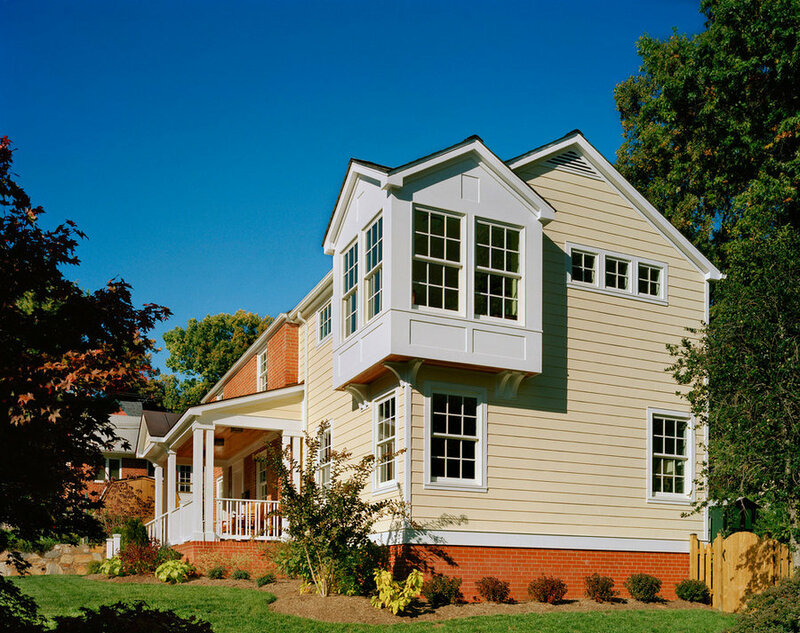 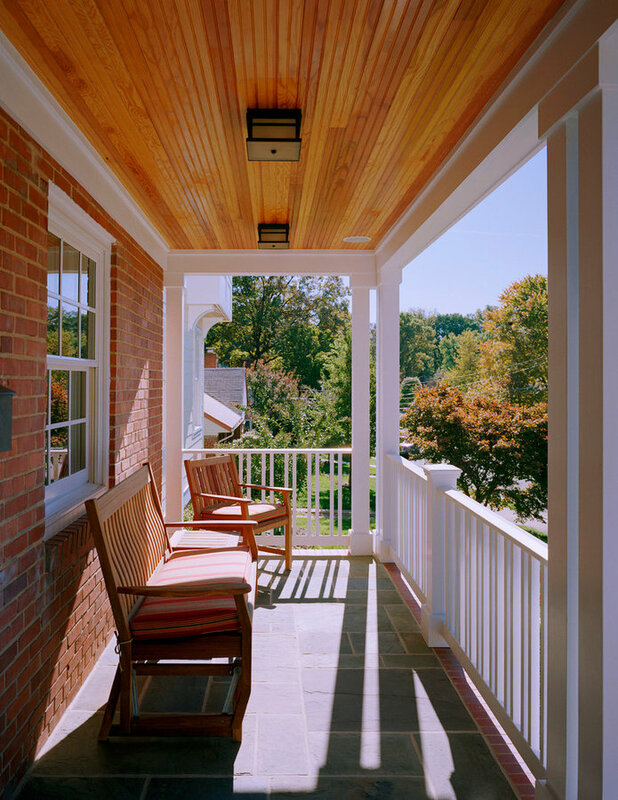 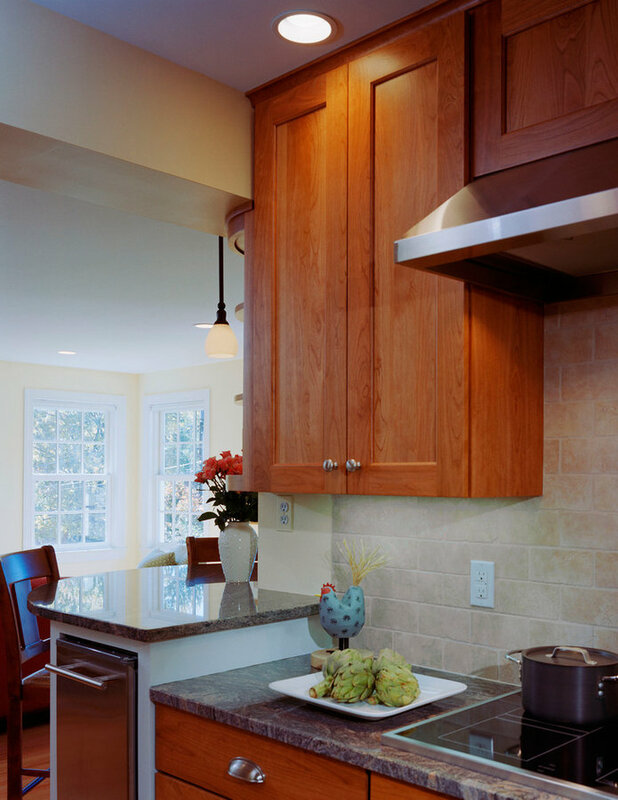 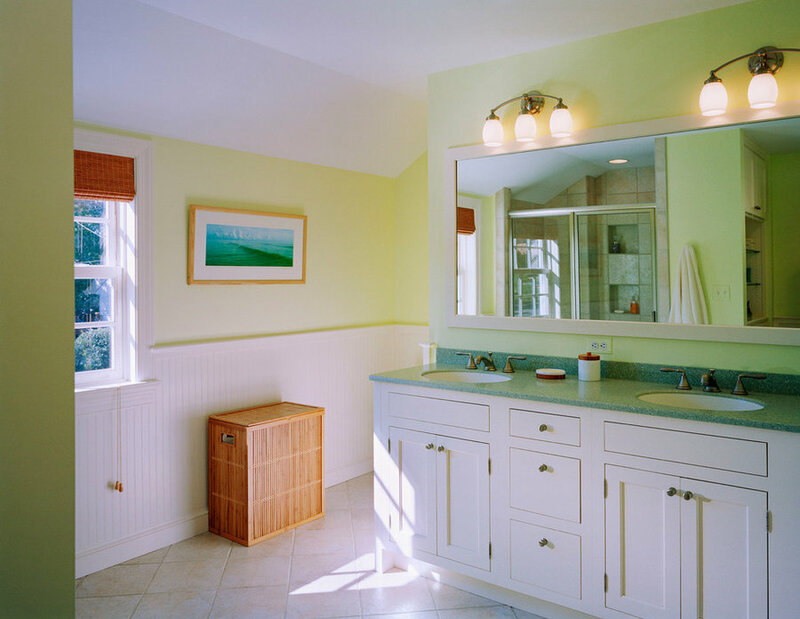 To solve the challenge of making such a familiar house larger, we used front porch, bedroom tower and mudroom addition as points of interest with the body of additions and original house as pleasing, but less eventful backdrops. 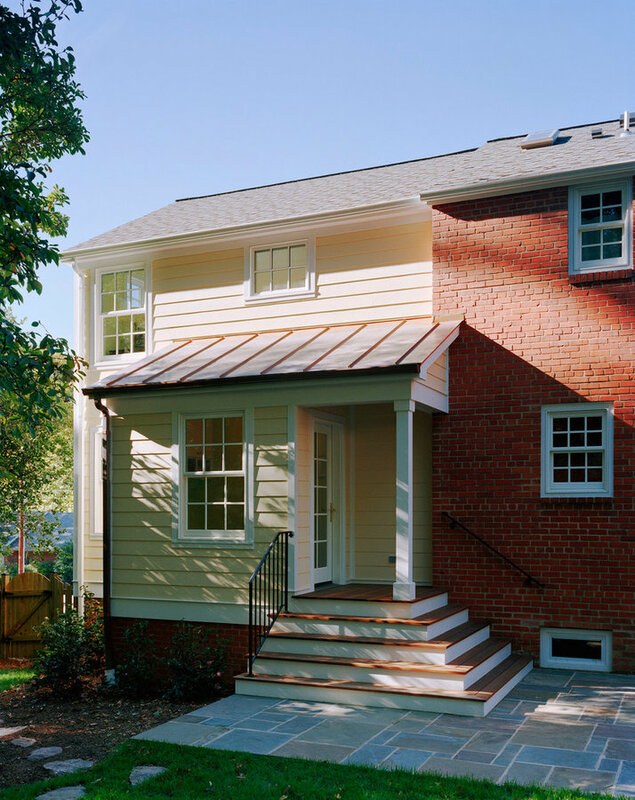 These smaller, one-story parts along with the change from brick to siding on the addition allow this much larger house to comfortably fit within the context of the neighborhood.